Have a whale of a time in the nursery with Rocket Pear! 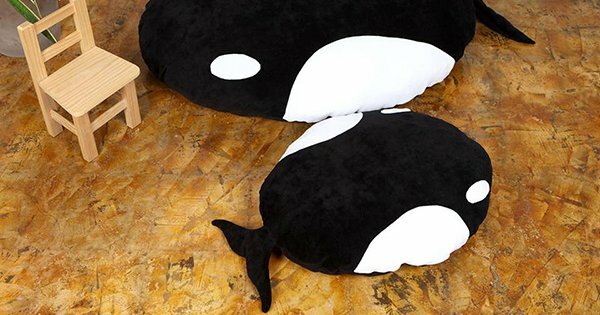 We see many amazing things via Etsy, but giant whale pillows are a first – click on through for all the details on these awesome floor cushions, perfect for any orca loving little person! Made by Portuguese brand Rocket Pear, it’s hard to say if the uber soft terry knit Orca Cushion (priced $82) and the generously sized Orca Pouf ($179) are more pillow or ottoman, but one thing we know for sure is they’re super fun. We also know you’re not likely to be able to pry your children from them in a hurry – which is understandable, after all how often do you get to be up close and personal with a whale? Whales aren’t Rocket Pear’s only forte, they also design some pretty amazing cot linen. 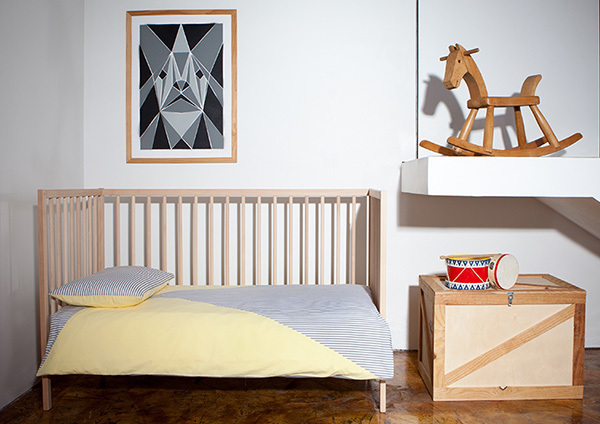 Putting a modern spin on a traditional craft, the Graphic Pastel Patchwork Duvet (priced $112) in rose or yellow brings a gentle pop of colour and fabulous ticking stripe action to any contemporary cot. To purchase, head on over to the Rocket Pear Etsy store, which will ship to Australia upon request.